Content Notes for "Whose Qualities Are Thwarted"
These are the content notes for "Whose Qualities Are Thwarted." Poverty traps people, often due to low-paying jobs. Hot cars can injure or kill employees who work in them. Here are some ways to cool a hot car. or a value customized at point of sale (no cash amount listed). are a good substitute for cash. aren't charged a transaction fee when patrons use it. the nearest bank. Those can be bought and reloaded. OneCard is a credit/debit card from Terramagne-America. You can use it in credit card mode to borrow money, or store funds on it to use in debit card mode. "The Duplex Romance" is a lesbian love story, which reverses the joke about lesbians moving in with each other after the second date. In this case, two strangers move into the separate halves of a duplex and then fall in love. It's a corner house built such that each unit's front door faces a different street. See the first floor and second floor plans. The family in unit #1 consists of a mother, Wanda, and her 13-year-old son from a previous (heterosexual) marriage. She uses Bedroom #3 as a home office. She drives a yellow Volkswagon bug. The family in unit #2 consists of a mother, Rita Mae, and her 7-year-old son (natural, in Bedroom #2) and 2-year-old daughter Heather (adopted, carried by her wife, in Bedroom #3). Her lesbian marriage just finalized the divorce after a messy year-long breakup, having ended because her wife just didn't like kids even after carrying one. The 7-year-old immediately attaches to the 13-year-old and idolizes him, even though it takes a while for the 13-year-old to start seeing him as a baby brother instead of a nuisance. The first season focuses on the two families learning to get along as neighbors and the mothers realizing that they're attracted to each other. The second season develops the romance and their new marriage. The third season follows the merger of the two families and how they adapt the house, such as opening a door between the two dining rooms. Poor people often struggle to afford clothes and laundry, one of many things trapping them in poverty. 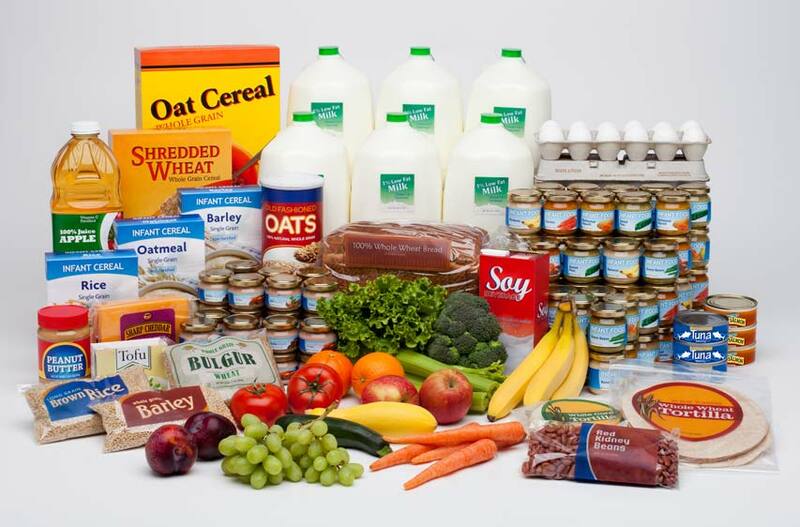 Buy into Bluehill is a food-buying club that purchases foods in bulk from wholesalers and local farmers. Then they sort it into various packages that people can choose. Among the offerings are the Healthy Family Food Box (feeds 2-3 people for a week, with a few baby items), the Healthy Start Food Box (feeds 4-5 people for a week, with many baby items), the Pantry Package (nonperishable staples for 1-2 people), and the Golden Age Box (3 ready meals per day for 1 senior for a week). Learn about how to start a buying club. The Healthy Family Food Box offers fresh and frozen unsweetened fruit juice, tofu, whole-grain cereals and breads, organic baby cereals and pureed foods, dried beans and rice, organic canned goods, and nutritious snacks. Milk, hard cheese, butter, and eggs all come from local farmers. Fresh fruits and vegetables are purchased locally if available, outsourced if not. Processed foods have to be under a certain standard for salt, sugar, and fat but above a certain standard for nutrients. The Healthy Start Food Box focuses on families with infants and young children. It has much more baby cereal, baby food, and milk. Otherwise, it provides a selection similar to the Healthy Family Food Box, with an emphasis on low-processed, organic, and local foods. The Golden Age Box contains convenience meals designed for senior nutrition, although anyone can buy it. Here are some sample menus. 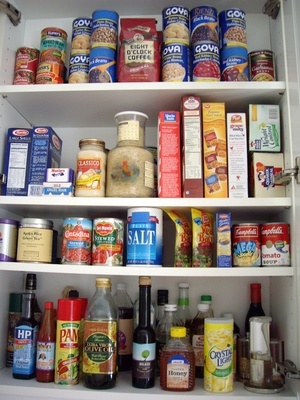 The Pantry Package contains only nonperishable foods, with an emphasis on healthy staples. 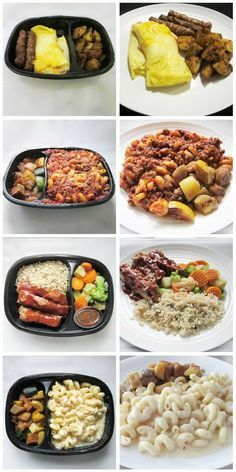 It features things like healthy fats (extra-virgin olive oil, coconut oil, ghee, or peanut butter), healthy sweeteners (honey, maple syrup, or blackstrap molasses), chocolate (cocoa powder, cacao nibs, chips, or baking chocolate), low-sodium bullion or canned broth (chicken, beef, vegetable), canned meat (tuna, chicken), canned tomatoes (sauce, puree, paste, chopped, or whole), canned beans (black, navy, red, or barbecue baked beans), whole grains (oatmeal, barley, quinoa, or muesli hot cereal), processed whole-grain products (whole-wheat flour, whole-wheat pasta, multigrain crackers, or multigrain cold cereal), rice (brown rice, wild rice), dried legumes (beans, peas, or lentils), nuts and seeds (macadamia nuts, pecans, pepitas, sunflower seeds, or granola), dried fruit (peaches, apples, prunes, dates, raisins, or mixed fruit), and condiments (vinegar, Worcestershire sauce). People often have mixed feelings, especially about receiving gifts. Montay feels uneasy as well as grateful at first, because he doesn't know why the Italians are helping him. After he gets to know them better, however, he starts to relax and gravitate toward them. Think before giving expensive gifts, and give the right things. Learn to receive gracefully. Local knowledge is valuable in business. Terramagne values it much more than here. T'ai chi, pilates, and yoga are three types of energy-boosting workout. This is Liborio's Dolce & Gabbana tracksuit. The T-Italian version is stabproof. 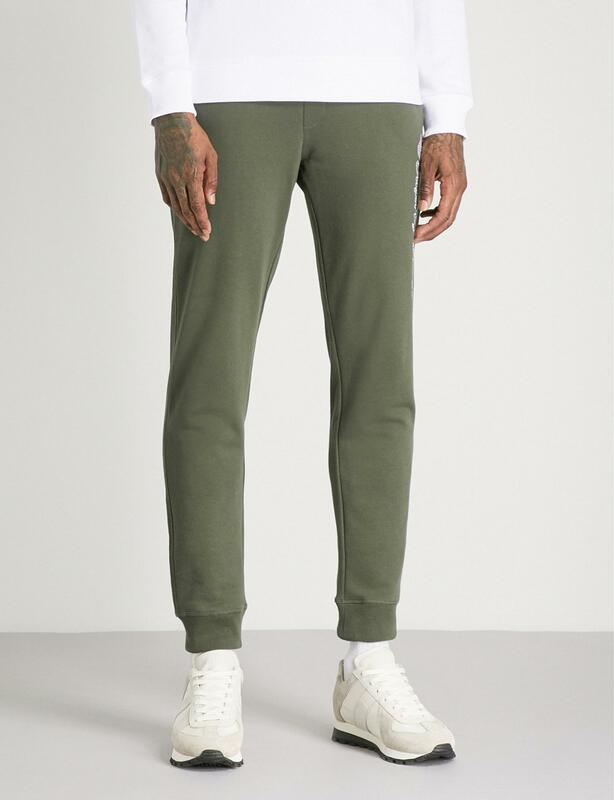 See Ruggiero's Armani sweatshirt and sweatpants. Olympia dresses for her profession. Check out the red heart outfit and the string top outfit. Muesli cereal and bars are easy to make. For the Swiss Muesli Bars, Montay mixes four parts rolled grains (one each of quick oats, barley, rye, and wheat), one part nuts (typically walnuts or hazelnuts, but chestnuts around Christmas), one part seeds (often half sunflower and half flax), and one part dried fruit (usually apple, cherry, strawberry, and/or blueberry). The muesli is bound together with butter, honey, and brown sugar. Here is the gift box of assorted nuts. Buying used cars requires careful attention to detail. It really is important to think about what you need and what you can afford to spend. 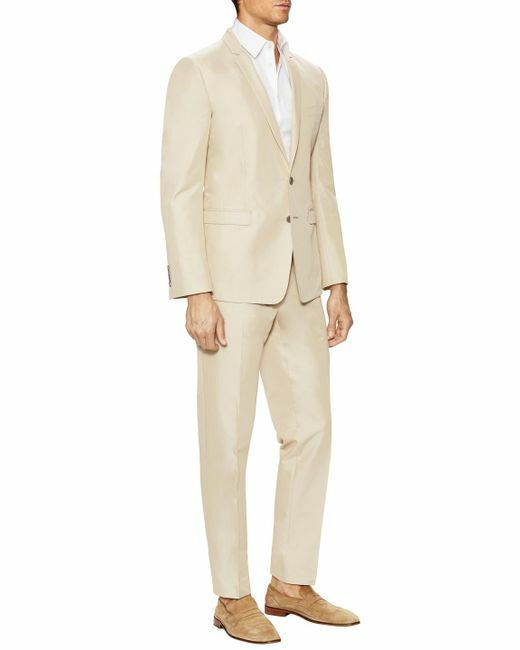 Ruggiero wears a Dolce & Gabbana suit with suede loafers. 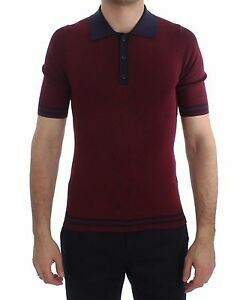 This is Liborio's Dolce & Gabbana polo and trousers. Olympia's Dolce & Gabbana blue and yellow sundress comes with matching sandals. Despite the move to paper and plastic commodity bags, some goods such as coffee and rice are still bagged in cloth. This is more common in T-America than here, precisely because cloth is so easy to reuse or recycle -- unlike composite paper bags, which are a nuisance to recycle. Cloth commodity bags are most popular for repurposing as lawn quilts, laundry bags, reusable shopping bags, and other durable items; but the South in particular has retained a custom of turning them into clothes. Consequently, some of the manufacturers still use colorful prints and washout labels for their bags. Higher Ground Roasters is an ethical coffee company with a good house blend. Enjoy recipes for Banana Caramel Muffins, Chocolate-Almond Coffee Braid, and Ham and Cheese Croissants. Among the most popular used cars is the Dodge Charger. 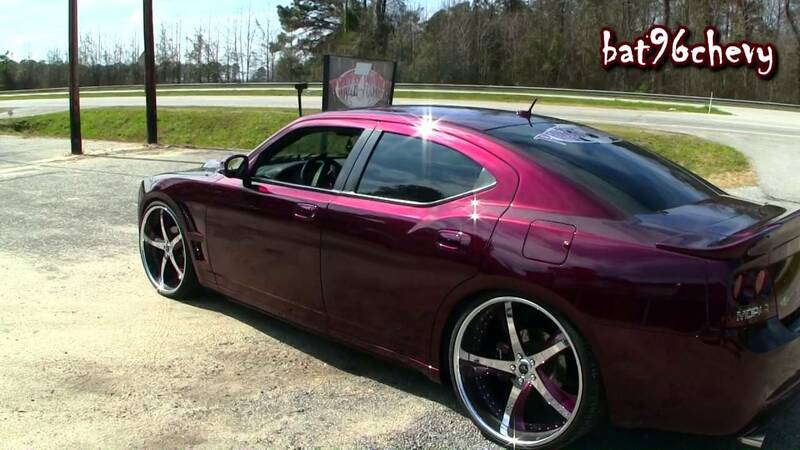 This one is candy purple with accents in the front and back. Example: You sell a used car for $3000 over cost. The commission rate is 25% after pack, and pack is $800. T-America has a $15/hour minimum wage. At $15 an hour and a maximum of 40 hours per week, that’s $600 per week, $2400 per month, or $28,800 per year. Since Chevy owns Car Co, he doesn't have to mess around with commission on his sales; the whole profit belongs to him. Even though Montay is not a salesman, Chevy credits Montay for bringing in the sale, and gives him a bonus of $1000. That's about 1/9 of the gross profit, and nearly 2/3 of what a commissioned sale would have been. It's also nearly double what Montay usually makes in a week. The Ford F-150 is the most popular vehicle in Missouri. Ford in general sells well. The Ford F-150 is also one of the best used vehicles nationally. This is Liborio's 1997 Ford F150 XLT pickup truck. The Honda Accord is the most popular used car in America. The Toyota Camry is right behind it. The Chevrolet Impala is among the favorite American-made vehicles. Olympia chooses a 2009 Chevrolet Impala LT. See the interior front and back. The Chevrolet Malibu is also popular. 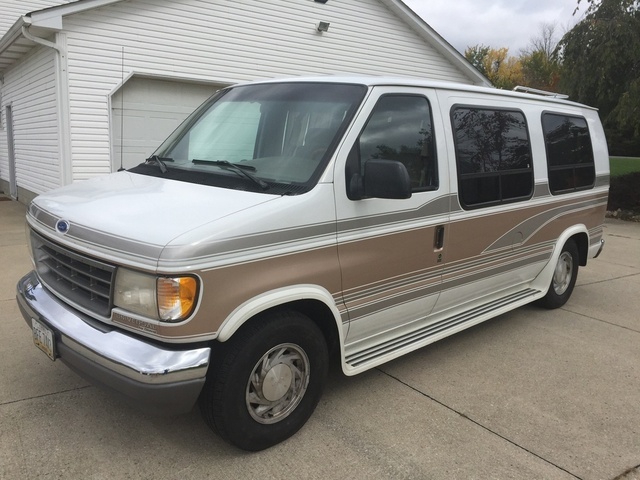 Ford E-Series vans are quite good. 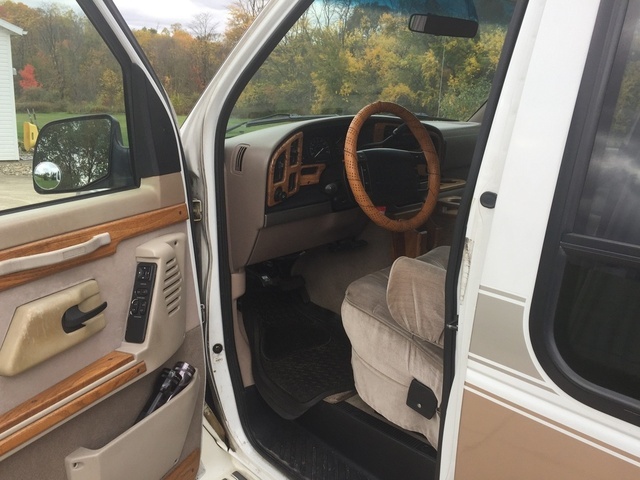 Ruggiero picks out a 1995 Ford E-150 XL Econoline van. This is the driver's seat. 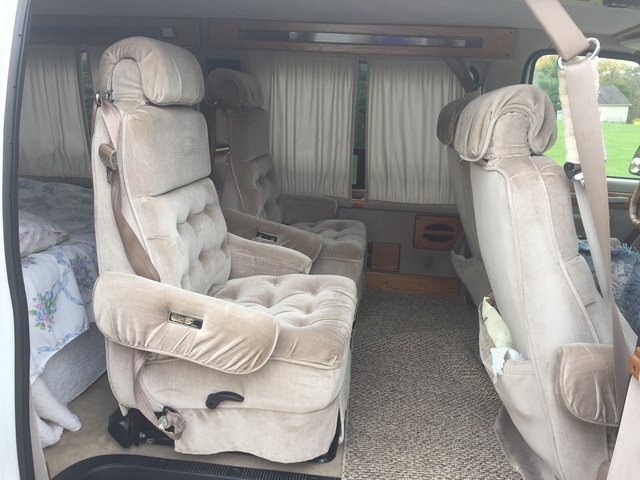 This image shows the middle bucket seats, the back bench seat, and an empty cargo space behind the bench. 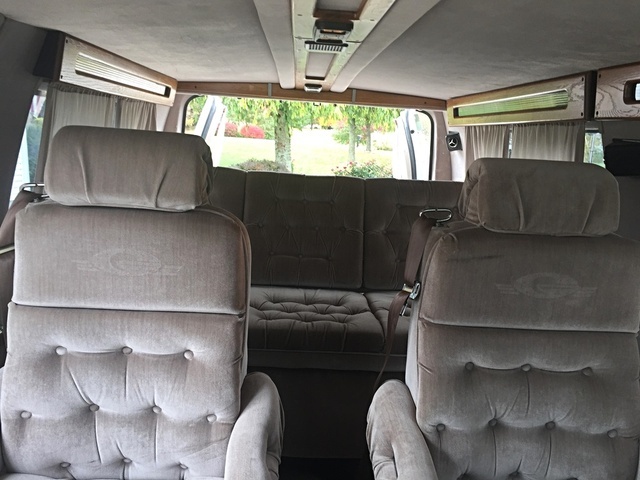 Here you can see the front bucket seats, middle bucket seats, and back bench seat lying flat. 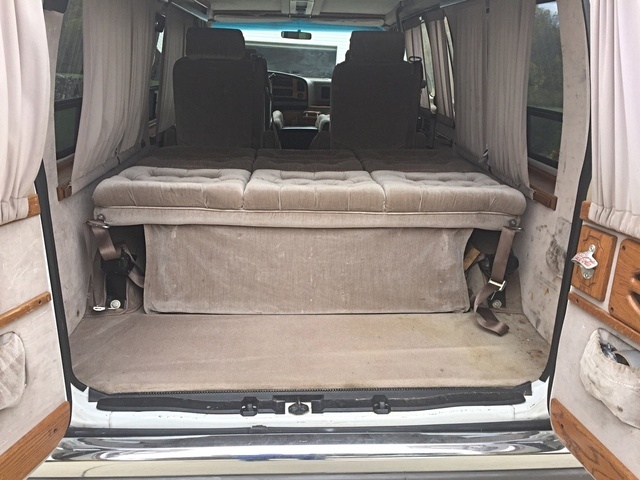 From the back you can see the empty cargo space, back bench lying flat, and middle bucket seats. The appeal of that flat back space is that you can transport an injured person that way. This is the Have Fun Be Safe Come Home keychain. The back side has the Car Co business information on it. Enjoy recipes for Roast Duck with Citrus Pan Sauce and Chocolate Truffle Layer Cake. Flipping houses involves buying low and selling high. Like most of the poorer states, Missouri has a lot of houses that go into foreclosure and/or need repairs, so it's easy to buy cheap ones. A good construction team can spruce up shabby property, without pricing it out of the market. The Marionettes can make a mint on this kind of venture, because they have plenty of cash to buy property, plenty of cheap or free labor, and access to interesting building materials from Italy that would be prohibitively expensive to buy in America. They can fix up a low-end house quite nicely, or turn a high-end house into a small mansion. Scuffling from job to job is common in poor neighborhoods. Montay spots a better opportunity and goes for it. Neighborhoods can be defined in various ways. They play an important role in placemaking. Secure On Paper Only is a level of confidentiality used for sensitive information. It is much harder to steal anything that exists only on paper, not in electronic form, because that requires gaining illicit access to a physical location instead of merely hacking a computer. Superheroes and supervillains alike take a pretty dim view of people who misappropriate SOPO information. Cosa Nostra: Italian for "this thing of ours," "our thing," a mob family, the Mafia. Loyalty is essential in personal and business relationships. Somewhere along the line, the Marionettes stumbled onto imprint vulnerability and learned that rescuing people is actually a great way to gain their loyalty. Understand how to be a loyal person, and earn loyalty in personal relationships or at work.